The SICPATRACE® system developed for federal governments helps combat illicit trade and close the gaps in tobacco and other excise tax collection. 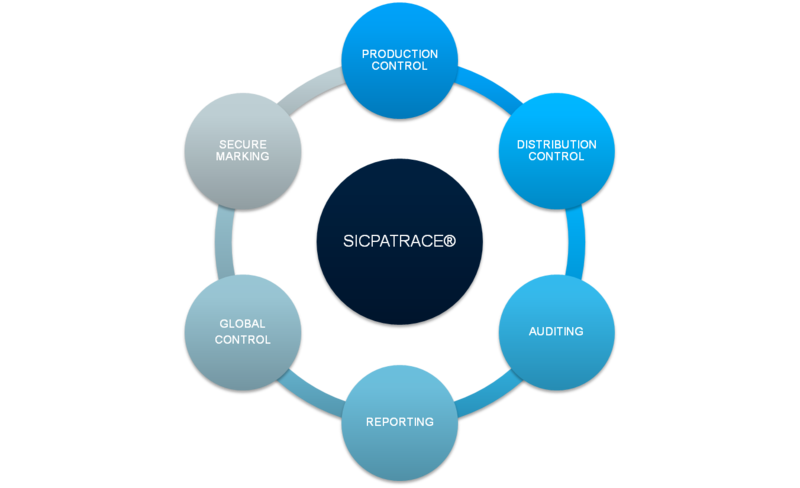 SICPATRACE® is a multiproduct, multifunctional platform that provides near real-time visibility into national production and imports, which helps secure the integrity and supply chain of taxed products like tobacco, beer, spirits, and soft drinks. The system’s modules are fully integrated into existing manufacturing and distribution operations, without impacting productivity and thorough output of high-speed production lines. The superior security of SICPATRACE® comes from an alliance of material- and information-based technology. Material-based – proprietary ink-based mark, code or tax stamp with secure identification features: visible features for the general public and covert features for government inspectors. Information-based – secure, encrypted data communications between system modules and the unique traceable code, applied either on the tax stamp or directly on the product. Visit SICPA's Corporate Site for more information about Federal solutions.